Juneyao Airlines is one of the many short-haul carriers flying in the Chinese market. Now the airline, founded in 2005, has set its sights on a new market. 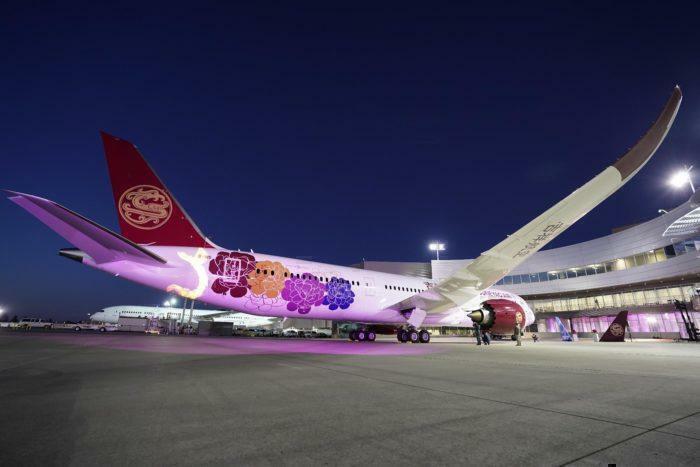 Juneyao Airlines is now setting up shop in the long haul market. Following the order of 5 B787-9 aircraft, the airline is looking to launch flights to Helsinki. The first B787 ordered by Juneyao began services yesterday, however, no set date has been given for the start of the Helsinki Service. Up until now, Juneyao has been an Airbus airline. the airline currently operates a fleet 68 A320 and A321 aircraft. The A320 aircraft have Business and Economy, while the A321s have First and Economy. Now, despite Airbus trying to poach major Chinese airlines, Juneyao is adding Boeing aircraft to its fleet. The airline has placed a firm order for 5 B787-9 aircraft, and also has options for a further 5. Following the delivery of the first B787 aircraft, services have begun on short-haul routes. Juneyao is currently using the B787 aircraft it is receiving to operate short-haul routes. The reason behind this is restrictions set out by the Civil Aviation Administration of China. The CAAC typically requires carriers to gain domestic experience flying an aircraft before it is allowed to fly it internationally. As such the aircraft is currently flying between Shanghai and Shenzhen. This has resulted in an expected commencement date of June 2019 for the international route. Juneyao is expected to launch its Shanghai to Helsinki route in June 2019. Additionally, in China typically only one carrier is allowed to operate each international route. This was the reason behind China Southern previously launching flights from Shenyang to Los Angeles. Thankfully, Finnair is the only operator currently flying from Shanghai to Helsinki. Consequently, Juneyao was able to secure authorisation for the daily route from the CAAC fairly easily. Juneyao is reportedly looking to move its international operations to the nearby Nanjing airport. While the airline secured approval for the Shanghai to Helsinki route fairly easily, other routes won’t be so easy. Currently China Eastern and Air China have hubs at Shanghai. As such the majority of popular international routes from Shanghai have already been allocated by the CAAC. 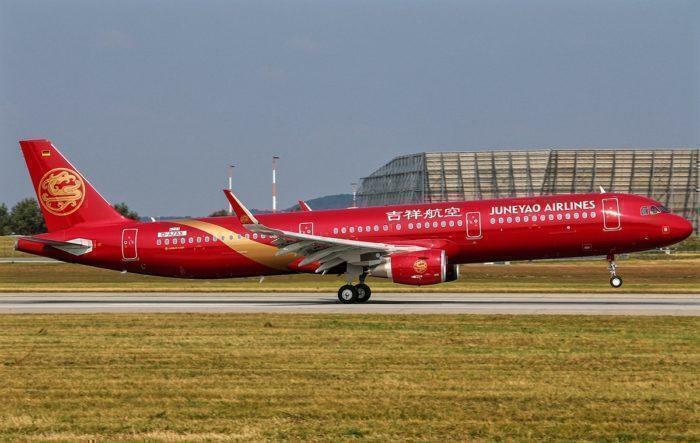 Juneyao Airlines currently operates a fleet of A320 and A321 aircraft. While Nanjing doesn’t have as many international routes, it could be affected by competition from Shanghai. Nanjing is fairly close to Shanghai. Only 170 miles separate the two. Two years ago Juneyao singed an agreement with the Nanjing city government to open a base in the city. What do you make of Juneyao Airlines? 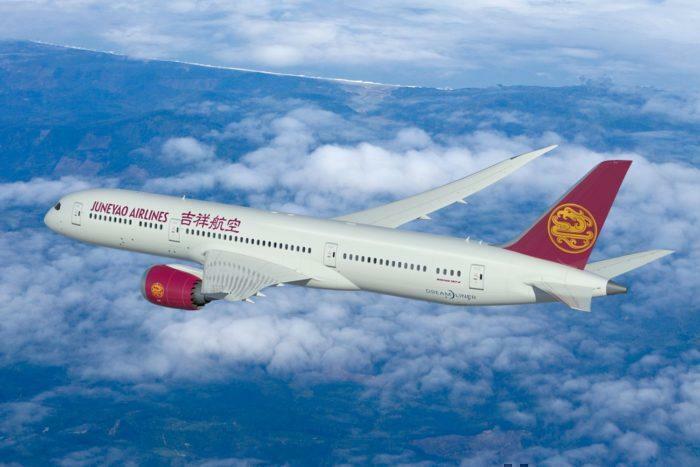 Which other long-haul routes do you think Juneyao Airlines will operate? Let us know in the comments down below!